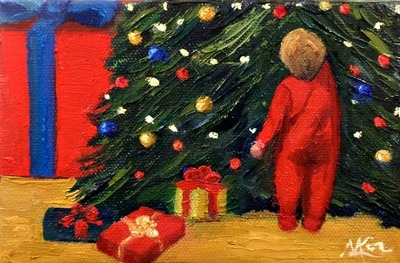 ​Festive holiday cards are now available featuring the painting, "Little Tree Helper". These 5"x 7.5" folded cards are made from premium paper with an elegant linen finish. 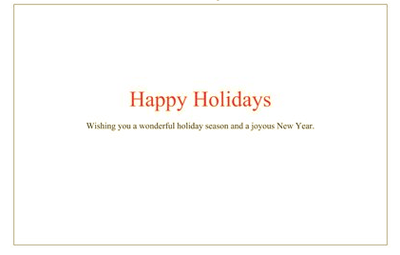 The card's interior contains the message, "Happy Holidays" in large red letters above "Wishing you a wonderful holiday season and a joyous New Year" in smaller black letters. $3.95 per card. 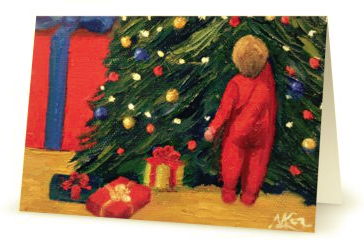 Contact Mary about 20% off for purchases of 10 or more cards, marylorart@gmail.com.